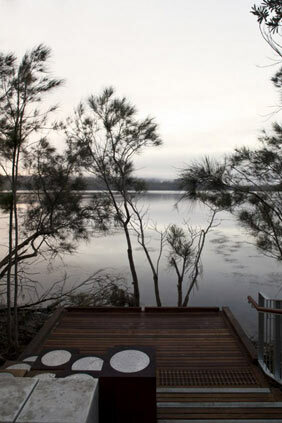 ASPECT Studios has completed a multi-use trail at Narrabeen Lagoon on Sydney’s northern beaches. The lagoon is one of Sydney’s natural assets and is a major drawcard and focal point of the area. Diverse experiences are on offer at different locations around the lagoon. The eastern side comes to life especially at the weekends as people take to the water in kayaks and swimming, or strolling and pausing at cafes, restaurants and the bustling Sunday market. 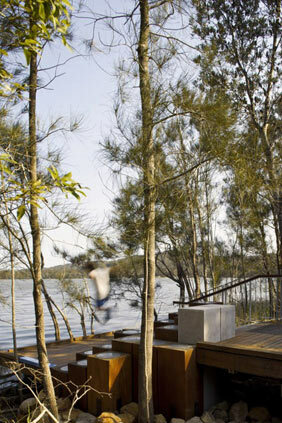 The western side of the circuit, which ASPECT Studios have designed, offers a tranquil bush experience. The new trail provides a multi-layered recreational facility and safe shared trail for pedestrians and cyclists to enhance the existing trail and facilitate the area. 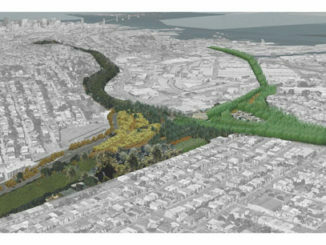 ASPECT Studios was commissioned by Warringah Council to design and document a new multi-use trail for Narrabeen Lagoon. The walk spans from Deep Creek to Middle Creek. The client, Warringah Council in collaboration with Pittwater Council has been striving for many years to bring this project to fruition in order to complete a circuit around Narrabeen Lagoon. This will greatly enhance the community’s recreation experience. The area of the project scope was in parts accessible and consisted of a variety of conditions mostly in a state of disrepair. 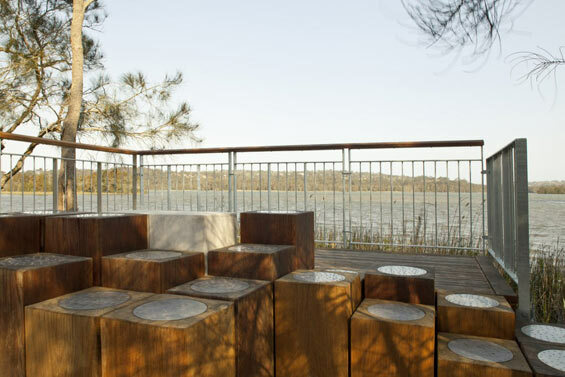 A new timber and fibreglass panelled boardwalk has been designed, with seating and a series of lookout points which take you from the bush to the lagoon edge. A new pedestrian/cycle bridge at Deep Creek has recently been installed. 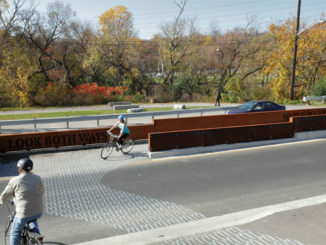 The trail provides access for everyone including wheelchair users, recreational cyclists, pedestrians and dog walkers. When completed, the trail will allow for diverse groups of users to enjoy the lagoon and surrounding bushland for a range of experiences. These range from fi tness to relaxation through walking, cycling or jogging, family picnics, for nature and wildlife enthusiasts. This recreation circuit will become regionally signifi cant, similar in visitation and importance to the people of the northern beaches as the Bondi to Coogee walk is to the eastern suburbs. The first portion of trail provides a benchmark for the materials, construction methods and fine detailing which can be adopted in the subsequent stages of trail construction. Material selection is sustainable, low maintenance, durable and appropriate for its bushland setting. 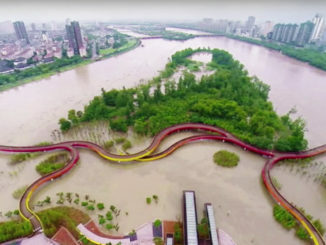 The design intent is to create a consistent and robust boardwalk with simple design and construction method with more design emphasis given to the lagoon lookouts which are sequentially spread along the walk. The lagoon look outs are unique sculptural elements that provide opportunities to rest and view out to the lagoon. 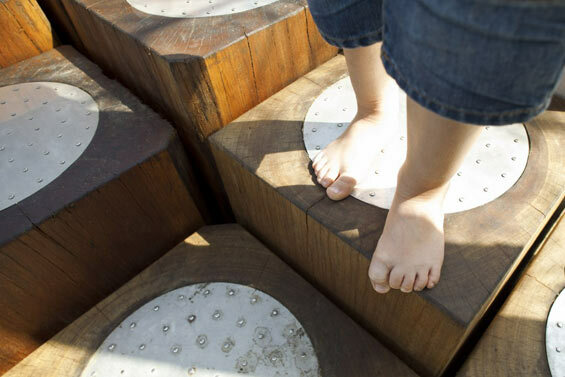 This gives a new spatial experience to being at the water’s edge.